Let our professional floral designers create a beautiful bouquet of our finest seasonal flowers to accommodate your price range. 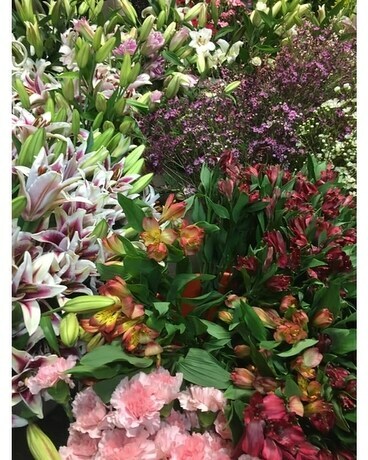 Your order will be filled to value with our freshest flowers. Call for more pricing options.